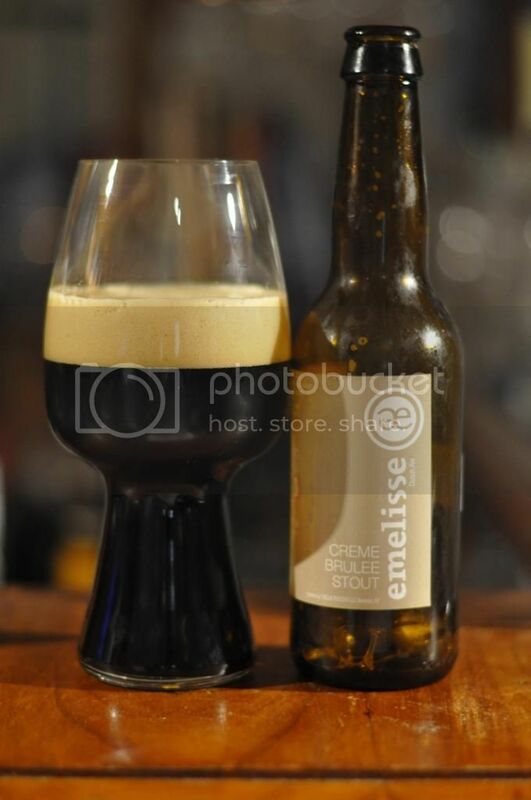 Emelisse are one of my favourite international brewers. I don't drink anywhere near enough of their stuff, but everytime I try one I think to myself "Why don't I drink more from these guys?". The answer to that I'm not sure, but this has been hugely hyped to me and I'm really looking forward to it. I'd like to think that "Going Dutch" is a pretty self-explanatory badge name. 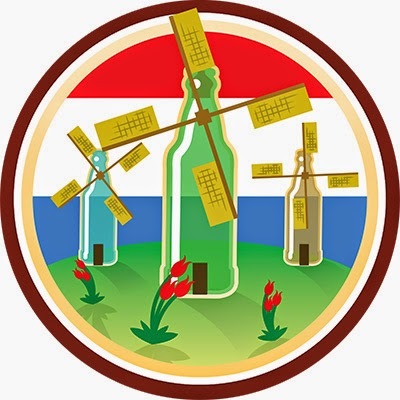 For those of you who are a little slower on the uptake, it's a badge for drinking Dutch beers. Like most other badges now this is a leveled badge, and so every 5 different beers from The Netherlands I have you will see this badge pop up again. On the off chance (read strong likelihood) that I haven't been clear yet, Creme Brulee is a Milk Stout. Accordingly this pours a very dark colour, which at first appears almost black but is in fact a very dark brown colour. The head is cream coloured and adequately sized for the style with 2 fingers of tight foam. The head has excellent retention and there is still a thin film covering the bottom of the glass at the end of drinking. The nose is where this beer really begins to shine, it smells exactly like Creme Brulee! There was plenty of caramel, some chocolate, roast, milk sweetness and a bit of vanilla on the nose. It's definitely a sweet aroma that some people may put some off, although I didn't find it sickly sweet. Creme Brulee tasted brilliant! It wasn't too sweet like a number of Milk/Sweet Stouts that I've come across. Caramel was definitely the main driving flavour of this beer with roast and coffee also playing a big part. There's a good bitter hop finish which really balances the beer out. What a beer! This is one of my favourites of the year so far and absolutely lived up to the hype! All beer lovers should seek this beer out, it's truly sensational! The mix of sweetness and roast was just perfect for the style. I can't get over how good I found this beer, there will be more in my fridge very soon! I've definitely undersold this, it was amazing! I would love to hear anyone's thoughts who've had this beer or any other Emelisse beers, gus.norris7@gmail.com.